No longer a fantasy, the industry’s most sophisticated digital assistant is here, now. And it only costs $129. The notion of a robotic assistant took hold long before personal computers, and even longer before the internet began to reshape our daily lives. Irona, the robo-maid from the Richie Rich comic books, made her debut in the early ’60s. The same holds for Rosie, the blue bot from The Jetsons who was treated as family. She’d roll around on casters, dusting and vacuuming while George kicked back after a shift at Spacely’s Space Sprockets. It was clear then that we expected artificial intelligence (A.I.) to absorb some of the tedium of daily life so we’d have more time to relax. Last November, Google brought the Rosie dream closer to reality with Google Home, a sleek appliance with no visible buttons and an uncanny ability to engage in something charmingly close to conversation. 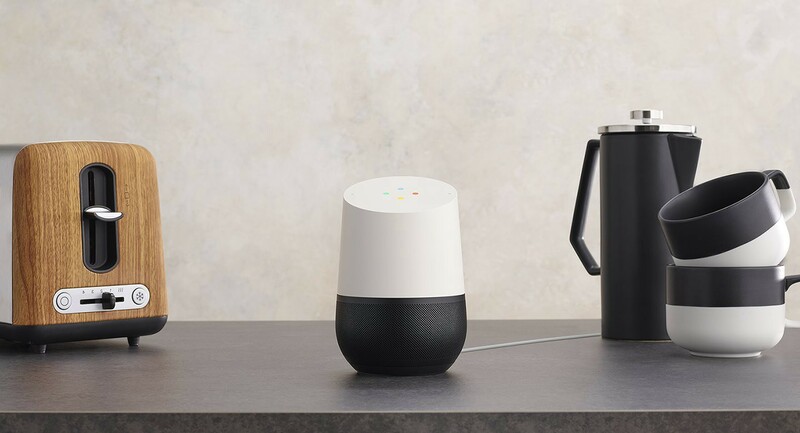 Home is Google’s effort to swoop in on the digital-assistant category that opened in 2011, when Apple equipped its iPhone 4S with Siri. Unlike Irona or Rosie, Siri was software-based, a concept inconceivable during the 8-track era. To summon Siri, you held down the iPhone’s home button and spoke clearly, slowly, and with a small prayer that she would understand what you were saying. What’s interesting about those first few months of talking iPhones is how quickly we moved beyond the practical uses. Sure, Siri could schedule meetings and text our friends for us, but could she hang? Was she cool? Within days of Siri’s release, stories began to emerge about her wit. The New York Times published an online story about how well she handled conversation. To the question, “What is the meaning of life?” Siri replied, “To think about questions like this,” or “I don’t know, but I think there’s an app for that.” With that dash of personality, she’d won our hearts. But most people don’t actually need Siri in their phones. A recent report from the market research firm Creative Strategies found that of the people who use the smartphone-based digital assistant, only 6% do so in public. People are more comfortable talking to their smartphone in the car, where it’s unsafe to text, or at home, where roughly four in 10 Siri users talk to her. With that knowledge, Amazon upped the A.I. ante last year by releasing Alexa. At launch, the digital assistant lived inside just one device, called Echo, which plugs into the wall and sits on a table or countertop. Echo looks like an elegant cheese grater, but its insides are stuffed with a motherboard with enough processing power to make Alexa sound borderline sentient. Even better, the assistant is always paying attention. Anytime you say the word “Alexa,” her ears — or rather, a set of seven microphones attached to cool blue lighting — perk up. She’s ready to field questions and carry out commands, set a cooking timer or order you a pizza. And to be sure, Alexa is fantastic. Two-thirds of Echo’s 44k reviewers on Amazon have awarded it five stars. But that’s partly because the device never promised to be conversational. And it’s not. Google Assistant, the brains inside Google Home, wants to do better. (Companies give the software distinct names so that they can port it into new devices — like a phone or auto console — later.) Google Assistant follows the Alexa model, perking up when you utter the wake words — in this case, “Okay, Google.” It also lives in your home, where research shows you’re more likely to use it. Like Alexa, Google Assistant will give you weather reports, queue up music playlists, and control your smart-home devices. At launch, it works with Philips Hue lightbulbs, Nest thermostats, and Google’s Chromecast devices, which allow you to stream music to external speakers or pull up movies on your television. You can also pair it with Samsung SmartThings outlets to teach it tricks like turning on a baby monitor or brewing coffee. Home also creates the illusion of knowing you, thanks to its ability to use location data and pull information from your Google calendar, Spotify account, and other online services where you share bits of info about yourself. You can tell it to add laundry detergent to your shopping list, and when you ask about your day, it will inform you that you have a playdate scheduled for 3 p.m. But where Google is really trying to win the A.I. race is with its enhanced ability to talk to you like a human. Interactions like this make it easy to imagine the moment we have our first full conversation with a device, peppering in inside jokes along the way. It’s not that far off. 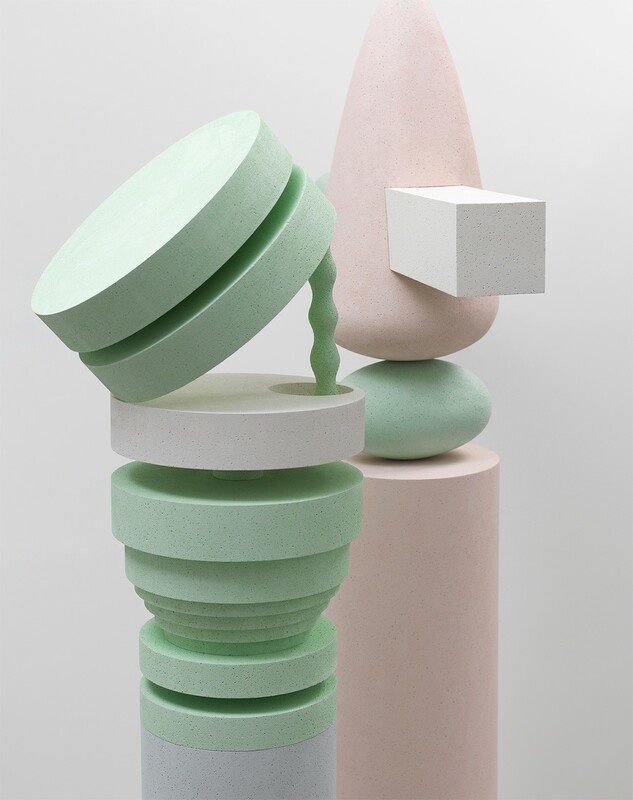 To imbue its countertop A.I. device with a gab-worthy charm, Google has already hired talent from The Onion and Pixar. If Wall-E could win hearts without speaking a word, imagine what a cheerful chatterbox could do armed with the gobs of data we share with it through casual banter. So for now, it’s just an appliance. But soon, you may call it your friend. Innovative tech companies continue to find new functions for your everyday home items. Here are four that will make your life easier. 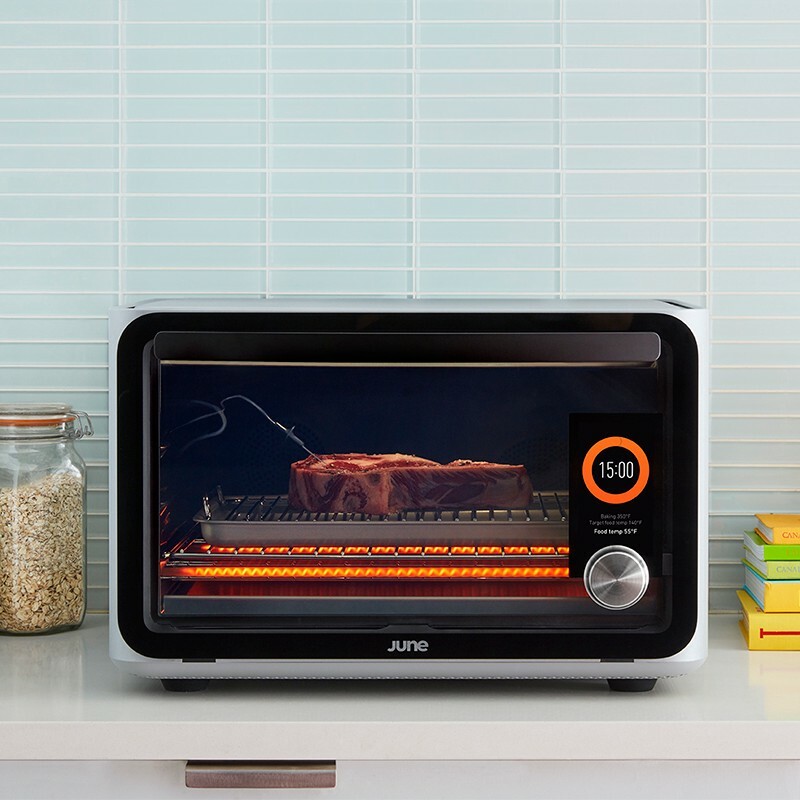 With the help of a temperature probe and internal camera, a computer inside the June Oven identifies your food and automates the cooking. Like your chicken with extra crispy skin? You got it. Using an app, you can even tap the camera to monitor your food from above as it cooks. 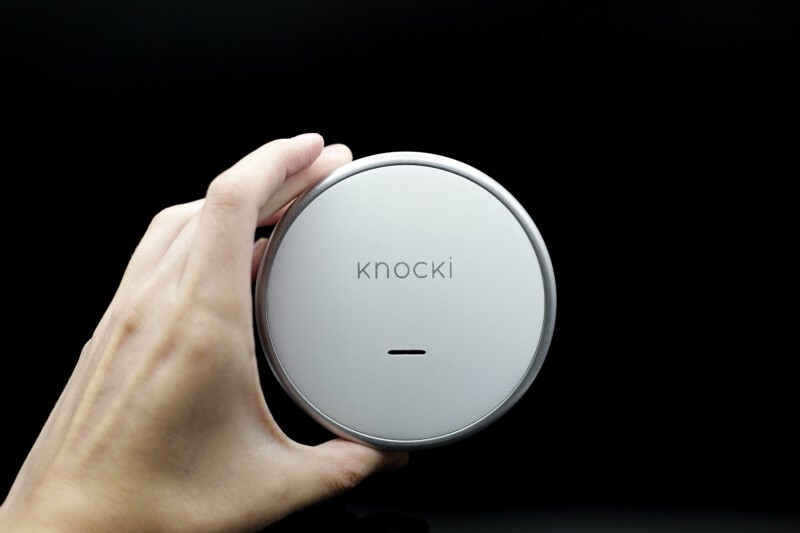 Mount Knocki, a disk-shaped sensor about the size of a hockey puck, under a table or directly onto a wall, and it allows you to control your smart devices or automate digital tasks by rapping surfaces with your knuckles. You might, for instance, program your bedroom wall to turn off the lights with one knock, turn on the heater with two, and text your kids to keep the noise down with three. 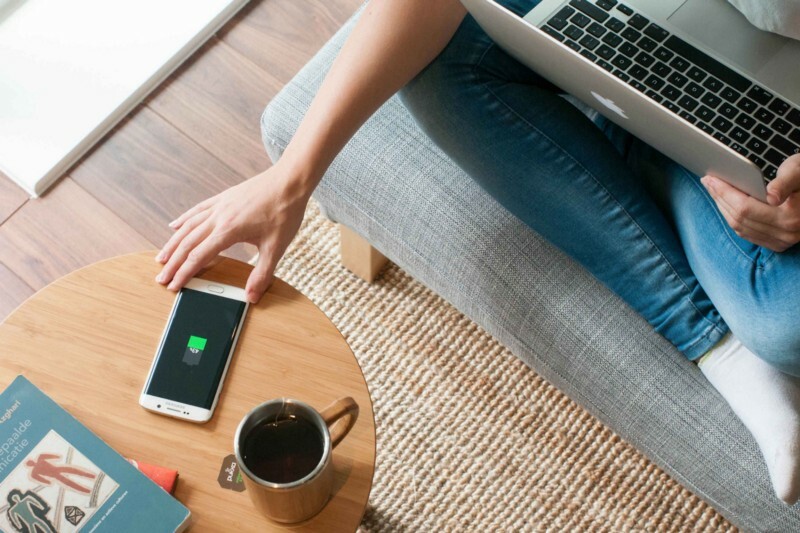 The FurniQi is a bamboo side table that doubles as a wireless charger, so when you put compatible devices down, they juice up automatically — no cables required. It works with all Qi-enabled devices, which include the iPhone and phones from Samsung and HTC. Whatever you’re hauling, the 3.5-foot tall Budgee Bot is there to assist. Using a sonar transceiver and a set of wheels under its base, the 22-pound robot follows you around with a nylon basket that you can fill with 50 pounds of laundry, gardening tools, or groceries from the car. It also folds flat for storage or transportation and runs for 10 hours on a charge. Writer for publications such as Entrepreneur, Men's Health, Men's Journal, New York magazine, and Wall Street Journal. Compass Quarterly is a print and digital publication that celebrates our brand's core values: technology, data, entrepreneurship, and design. Join us as we create a more sophisticated real estate experience.